Simply put, regulations passed by EPA several years back required the owner of a property to conduct clean-up of regulated contaminants, within a specified period of time and to strict clean-up criteria. This mandate applies whether the owner created the problem or not. As such, lending institutions generally will not loan money for the purchase of commercial properties without an assessment for existing contamination. In order to minimize financial responsibility for the clean-up the buyer must meet the test of having conducted "due diligence" before buying. 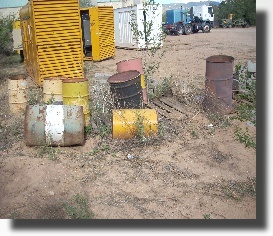 There are three phasesof environmental site assessments. Each are implemented according to site conditions and client needs. 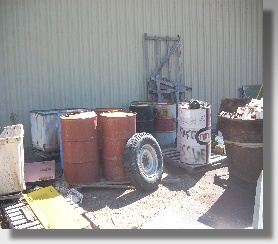 Phase I environmental assessments are conducted according to ASTM standards to determine if the property is now being used or has been used in the past for activities involving, directly or indirectly, the use, generation, treatment, storage, or disposal of hazardous or toxic chemicals, materials, substances, or waste. A Phase II sampling strategy is developed, when needed, in consultation with the property owner, that fits the Owner's needs and financial constraints. Analytical results of representative samples of items noted in Phase I will confirm the presence or absence of materials or conditions which may need to be addressed through a planned remedial action. In the Phase III remedial action phase, the extent of the contamination or concern is defined, appropriate regulatory agencies are advised in compliance with environmental regulations and a remedial action is designed and conducted to address the problem. CERL can provide Phase I and II services followed by post clean-up monitoring to assure regulatory compliance.